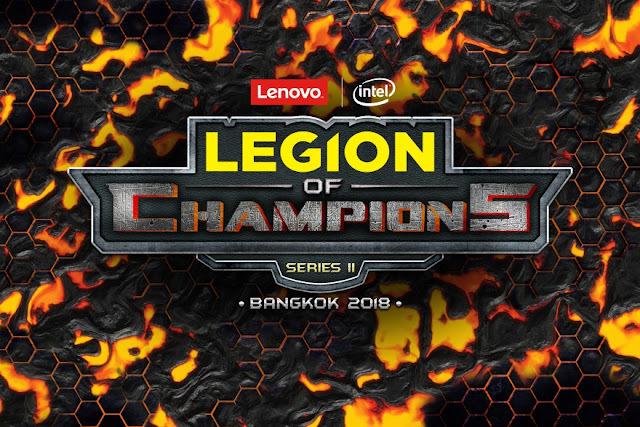 Lenovo, the world’s leading PC manufacturer, has officially kicked off the “Legion of Champions Series II” Grand Finale (LoC; former League of Champions). This three-day LEAGUE OF LEGENDS gaming extravaganza, held in partnership with Intel, is expected to bring together over 60 gaming talents in Asia Pacific together in Bangkok, Thailand, from January 26 to 28, 2018. Following last year’s successful debut, the competition has expanded its footprint to include teams from Hong Kong and Taiwan, in addition to Indonesia, Malaysia, Philippines, Singapore, Thailand, and Vietnam. The in-market champions from the eight markets will battle it out and the winning teams will walk away with a combined pool of close to 500,000 THB (approximately PHP 812,000) in cash. After three days of intense competition, from January 26 - 28, the champion team will walk home with a cash prize of 210,000 THB (approximately PHP 341,000), while the first and second runners up will be awarded 110,000 THB (approximately PHP 178,000) and 70,000 THB (approximately PHP 113,000) respectively. Lenovo Legion gaming devices will be the enablers for qualifying champion teams to compete during LoC, empowering them with a world-class experience in speed, performance and consistency. The anniversary edition of Legion Y520 laptop will also make its first appearance at LoC to celebrate the one-year anniversary of the launch of Lenovo Legion, a gaming sub-brand first introduced in CES 2017. Coming in two designs – one in red and another in black and gold. In the Philippines, the black and gold version will be available in limited stocks in February 2018. Legion of Champions Series II is one of Lenovo’s major efforts in nurturing the next-generation gamers and growing the gaming community in Asia. Professional or amateur gamers alike, the teams competing at the Grand Finale of LoC are the best in Asia’s gaming scene. These in-market champions have stood out despite the fierce competition; all of them have gone through multiple elimination rounds at the local level to finally reach the highly-anticipated Grand Finale, competing against other top-notch talents for the ultimate gaming glory. Hundreds of gaming fans are expected to attend this year’s Grand Finale of “Legion of Champions Series II” in Bangkok, Thailand to watch the heated battle and the birth of a new champion. For those who reside outside Bangkok, they can watch the live-streaming of the competition via https://www.facebook.com/LenovoTH/videos/10155550049041843/.